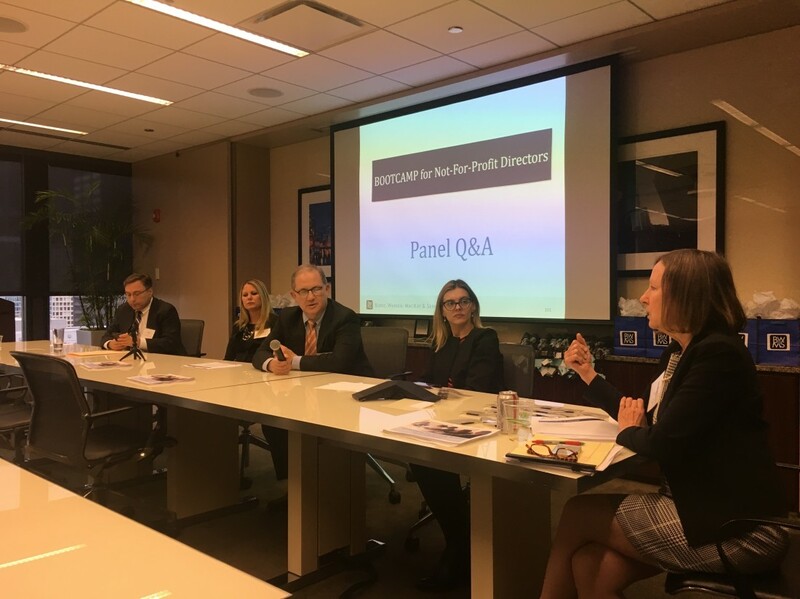 Pat Carlson, right, responded to audience questions at the Firm’s Bootcamp for Not-For-Profit Directors, which took place October 25 at the Firm’s conference center. Pat, the Deputy General Counsel at the Archdiocese of Chicago, is an expert on not-for-profit corporate matters. Other panelists seated to Pat’s right include Firm partners Susan Overbey, Jeff Rambach, Rachel Yarch and Jim Geoly. Topics included duties of directors and officers, cyber security, tax, employment, litigation, and risk management.